Provide comfort for the family of Arthur El-Amin with a meaningful gesture of sympathy. Arthur worked at Chrysler as a Machine Operator for over 30 years before retiring in 1992. Since retirement, Art became an avid fisherman. He loved hitting the fish banks throughout Wisconsin and the Mississippi River. Fishing was part of the excitement in his life. 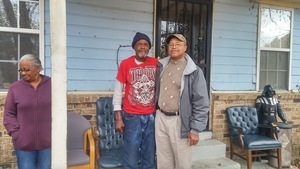 He began to have Fish Fry’s with is best friends, James Robert Lomax and Omega Gordon. As Mr. Gordon and Mr. Lomax passed, he went on to honor Mr. Gordon and Mr. Lomax by continuing their tradition for over 30 years. He enjoyed bowling with the Masonic Bowling Traveling League and other leagues throughout the Stateline. 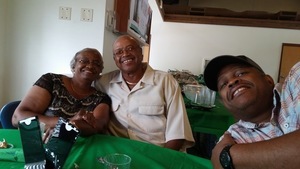 Arthur was a fun loving and great father who enjoyed family gatherings, socializing with friends, and enjoying the outdoors. Arthur was predeceased by his mother, Estella Whitelow, his siblings, Leroy Robinson, Pearlie Mae Whitelow, Sam Whitelow, Johnny Lee Cooper, Eliva Brewer, and Willie Mae Whitelow from Memphis, TN. 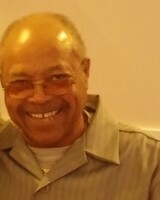 To send flowers in memory of Arthur Lee El-Amin, please visit our Heartfelt Sympathies Store. 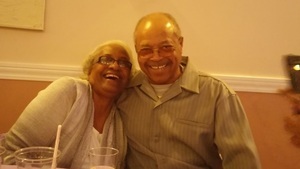 Provide comfort for the family of Arthur Lee El-Amin by sending flowers. You will be deeply missed Unc...One of a kind! Love Art and Jodi. Dear Dad, I love you with all my heart. I remember when I was little and you always put me on your legs and bounced me up and down. It was such fun. I enjoyed the fishing trip to Yellow Stone Park when you took the grand kids and family. Even when we went to the casinos it as a great time. Full of laughter and encouraging words. I am going to miss the times we shared talking, laughing, and even our disagreements. I love you so much! You will always be in my heart and spirit. We will see each other again.